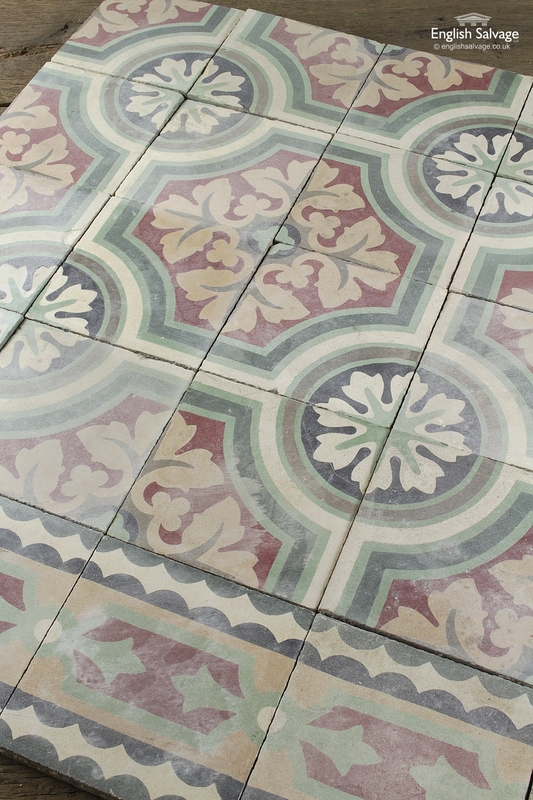 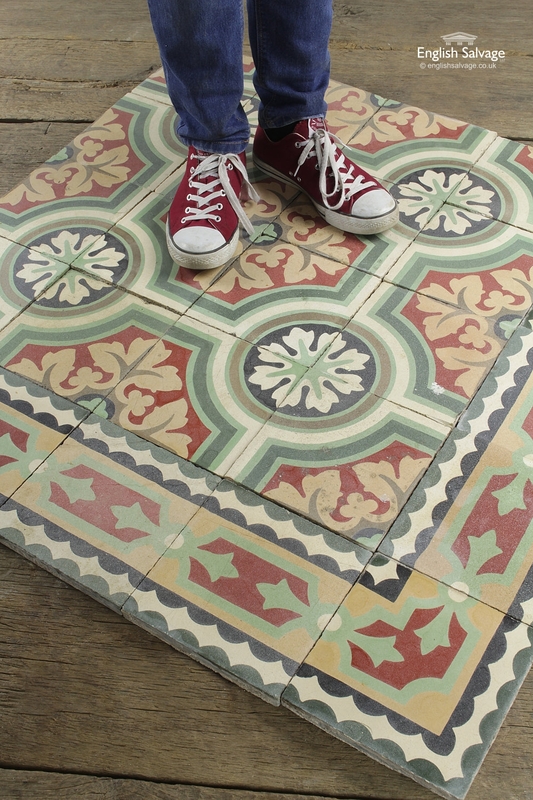 Beautiful antique encaustic floor tiles with a separate black scallop border. 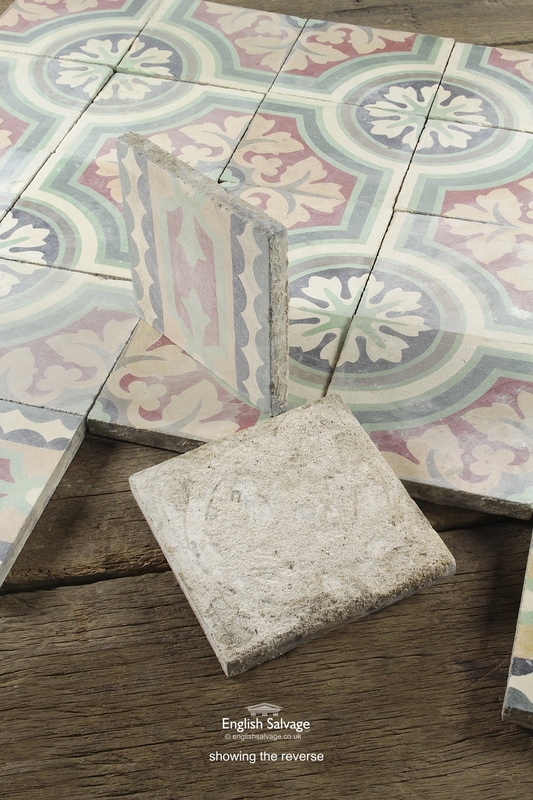 These elegant tiles form a repeating pattern when 4 centre pieces are placed together. 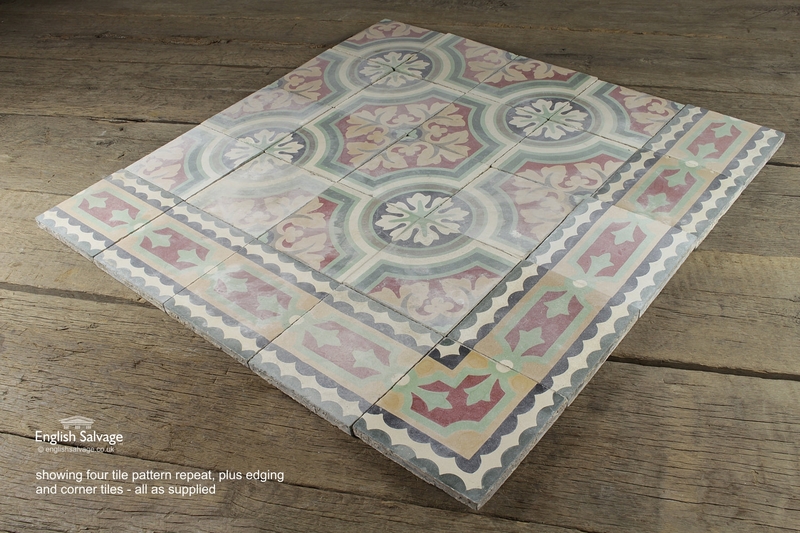 Tiles are sold individually. 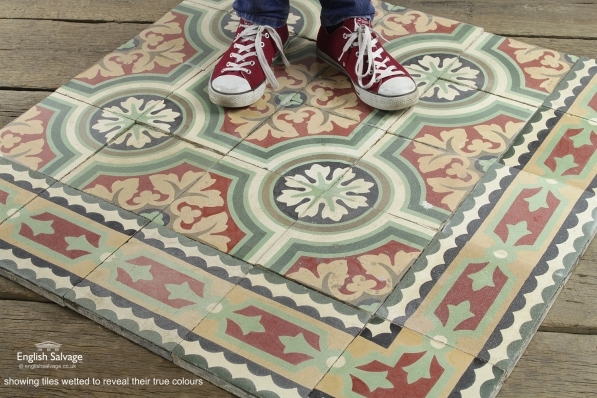 The same style with a smaller centre design is available here. Some chips/marks commensurate with age.